I’m a big fan of having activities to walk straight into at a party. No awkwardness, just straight into the fun. Sets the tone for a fun party to come. 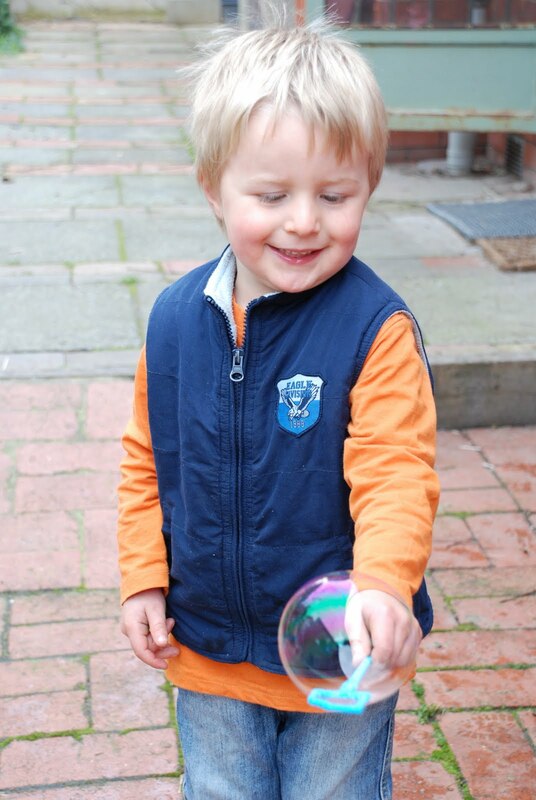 Kids can go at their own pace and only participate in activities that they want to. Having activities all set up before hand also makes it easier on the party host so that she’s not running around like a headless chook* I also don’t enjoy running group games, particularly when kids are all of varied ages and abilities and competition is involved. This rocket themed party was for our gorgeous four year old, Bear. 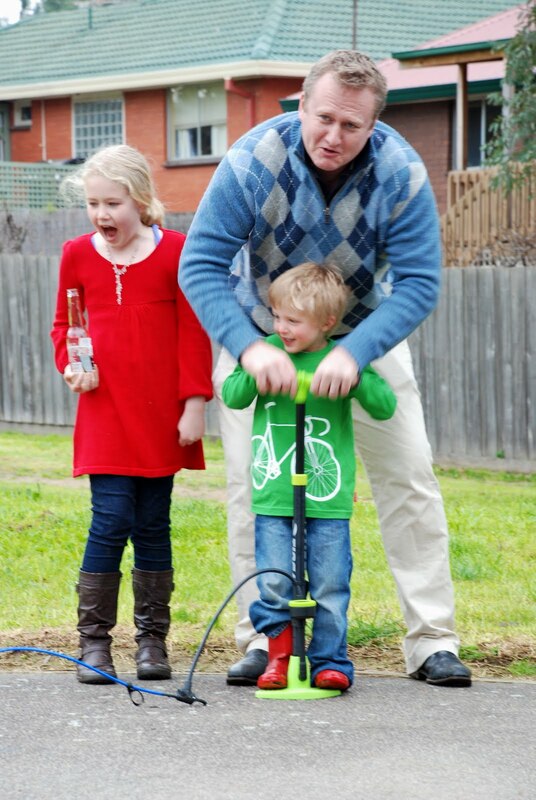 A surprise hit at the party was a rocket that we made from a large refrigerator box. 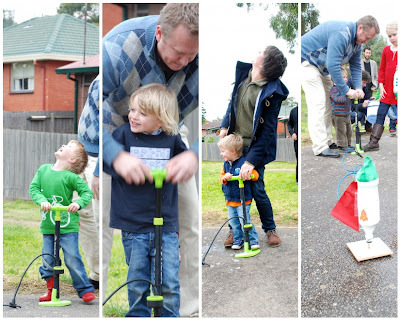 *** Thanks to our friend Ben (who happens to have an engineering degree) we came up with quite a convincing rocket. 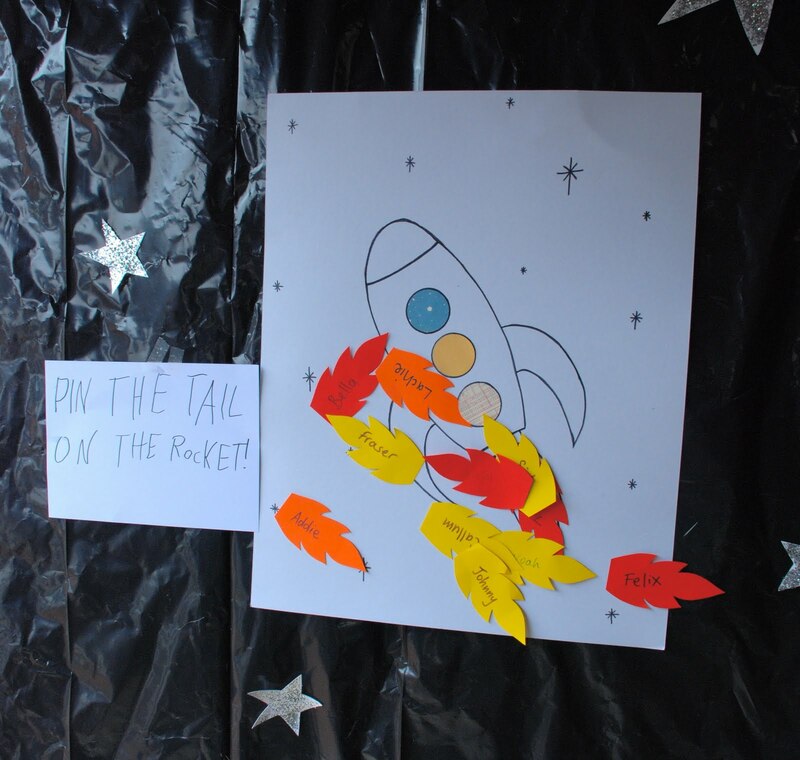 We did have a game of pin the tail on the rocket, but I figure the blindfold part puts all ages on an equal footing and the game can be played in a staggered way. 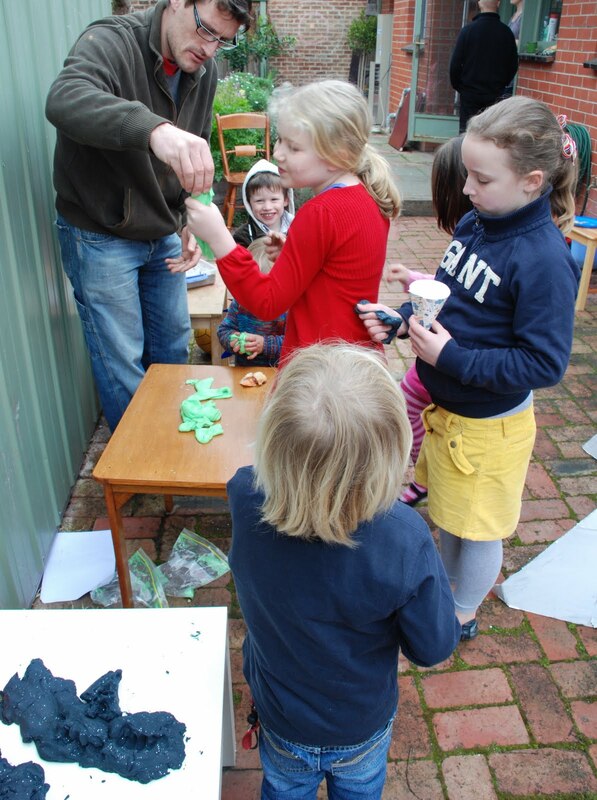 It’s also become a bit of a tradition of ours to have some kind of pin the …. 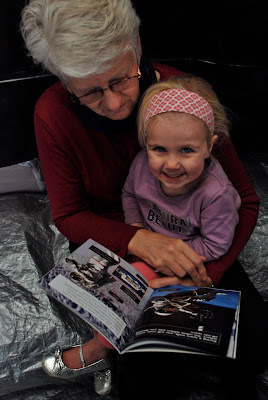 on the …. game to fit the theme of a party. …then after the food we went over to the park across the road and blasted them into space! Each child had a turn at shooting their rocket into the air. So much fun! Purchased here on ebay, they seriously went about 20 metres into the air and and I think the adults (particularly the Dad’s) had as much fun as the kids! 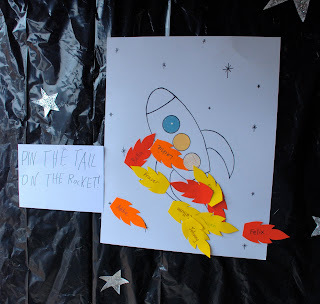 Come back tomorrow for more rocket party pics – the food & the decorations. In the meantime, for more kids party ideas you might like to visit my Party Ideas Page or check out others’ DIY parties here. Linking up this party with Bird’s party blog. * For the benefit of my overseas readers, this is an Australian colloquial term meaning, to run around like crazy. ** Not necessarily a big hit – particularly as a majority of guests had blonde hair & it did not really show up well and most children were just not interested. *** Obtained by heading around the back of a white goods store and asking for a large box. 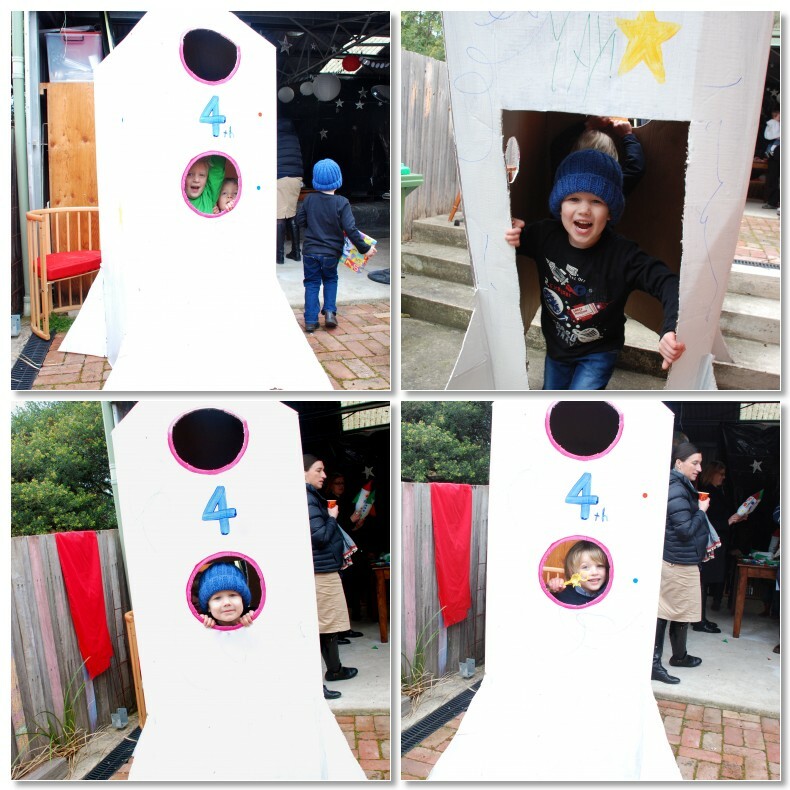 Em- the rocket party looked fab! What a hit! Emma that is a wonderful party! You are so clever and thoughtful. I love your ideas and how deeply you think about including everyone at the same time as making sure you&#39;re able to enjoy the party too. Great ideas!! 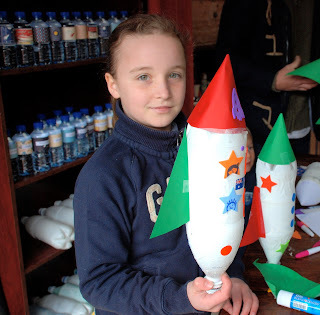 LOVE the blasting their made rockets into space – kids would go nuts for that!! Thanks for all the inspiration. Having our space party 2 Oct!